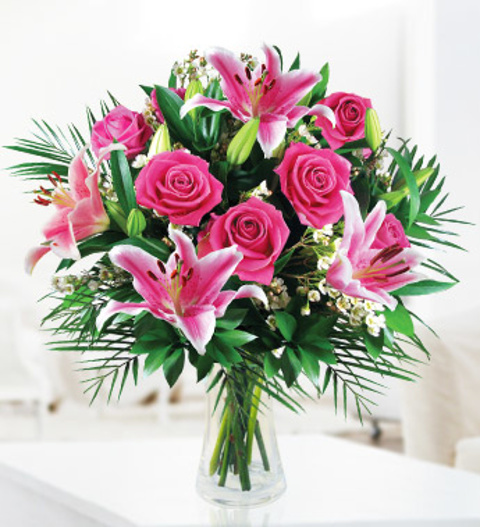 The beautiful Rose and Lily bouquet is our best seller and it&apos;s not hard to see why! Tall long stemmed pink roses lay against reobellini palm with oriental pink lilies combined to make a truly beautiful bouquet. This bouquet is perfect for all occasions and is available for next day UK delivery. Also included is a FREE box of fine Belgian chocolates. Chocolates may contain nuts.